GERMANY HAS GAA REFEREES! (well... more than before!) After two days slog in central Berlin, the group of 15 potential candidates worked their way through video analyses and rule discussions to reach their objective; the coveted Referee card wallet!!! (trumpet blare!). 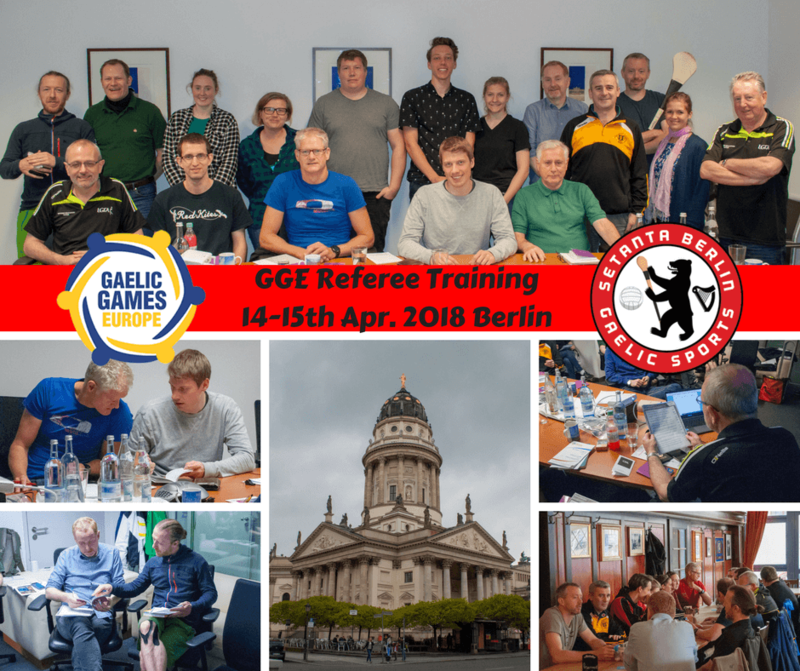 Many thanks to Tony Bass and Tom McGrath for leading the training; to Setanta Berlin GAA organizers for making the event possible; to Gaelic Games Europe for funding the event; to 'First Berlin F.S.B. Investment-Beratungsgesellschaft mbH' for providing the facilities, to David Der Hammer Smyth for his hosting skills keeping everyone full of tea and coffee; and all attendees for putting themselves out for the benefit of their clubs and the wider European GAA community.